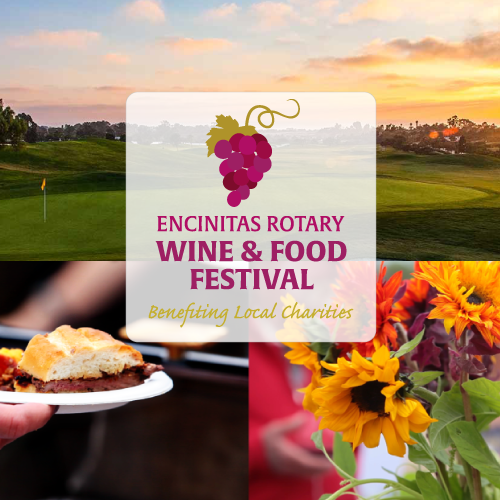 Come and participate in this 16th Annual Wine & Food Tasting Fundraiser, benefiting local charities including our Solana Beach Eco Rotary Club! 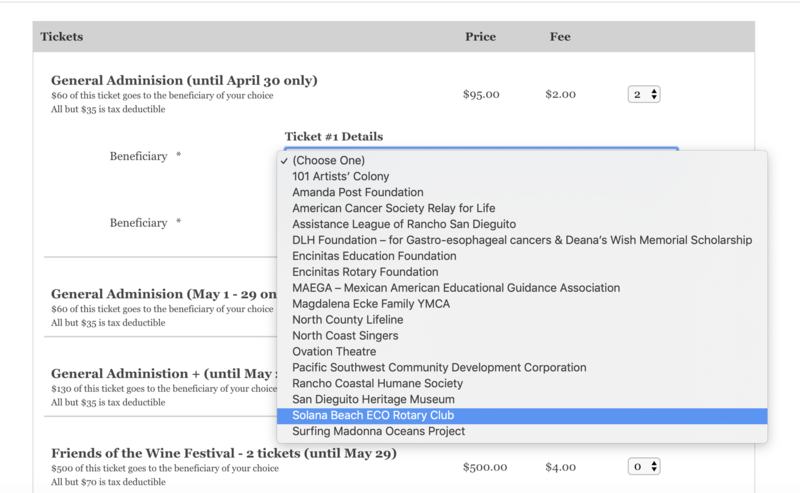 And don't forget to select our charity as the beneficiary of your participation. There are five categories to choose from (Wine & Spirits, Sports & Fitness, Home & Garden, Dining and Family Fun). Each category is valued at $1000 in prizes. Email us to purchase raffle tickets – info@sbeco.org. Raffle tickets are only one for $20 or three for $50. In the spirit of our club, think about carpooling, less energy used, better for the environment. And you will receive an entry card for the Carpooler drawing to win a gift certificate to a local restaurant valued at $100!! We would like to thank the wonderful food and beverage vendors who offered their wares for us to enjoy if you want to see who will be there click on the link below.